Mike and I absolutely love our new deck !! Our experience with Hickory Dickory Decks Niagara was very positive from the start. Peter made suggestions, showed samples and listened to our ideas as well. His team was skillful, efficient, courteous and professional. They were here daily until the job was completed and cleaned up at the end of each work day. 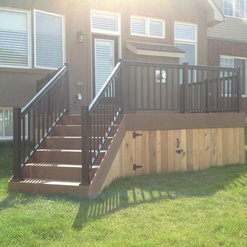 We are always happy to show off our deck. 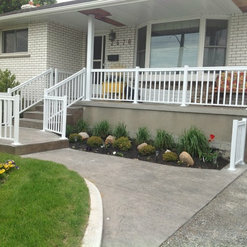 Mike and I would highly recommend Peter and Joanne Secord and their team. Pete was a tremendous help to my wife & I right from the planning stage all the way to helping us decide how to set up our deck furniture once the job was complete. The work was done just as it was scheduled and in a clean manner. The comments from our friends and neighbors have been nothing but praise for the quality of work and design. Thanks again Pete! 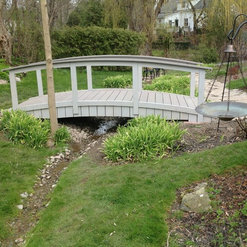 Peter Secord, and Hickory Dickory Decks, were very professional and helpful from our original contact through to completion of the project. 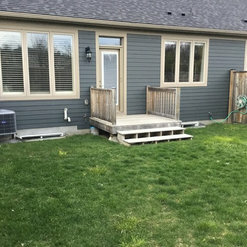 We had wanted to replace and expand our old deck but were not happy with earlier proposals from others; Peter had excellent ideas that gave exactly what we wanted for a reasonable price. His crew were also professional; always starting when they said they would, friendly, hard working, and paid attention to detail. 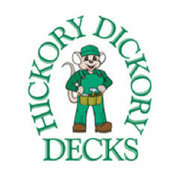 We have been very satisfied with the product and workmanship and have recommended Peter to friends & neighbours; we have no hesitation in recommending Peter and Hickory Dickory Decks, in fact we are considering an addition to our deck & look forward to discussing it with Peter. We had great experience in dealing with Peter Secord and Hickory Dickory Decks. We were completely satisfied with the professionalism of Peter and his crew. 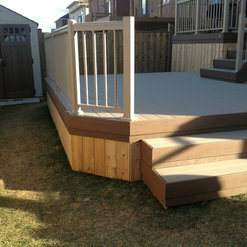 The deck was built in a timely manner with attention paid to being as tidy as possible. Even our neighbors commented on how impressed they were with Peter's crew. 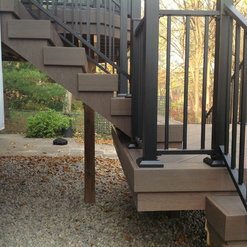 Our deck has wrap around stairs and built-in bench seating. We are so pleased with the end result. Peter was great to work with . Great design ideas. Delivers a great product and as promised with budget and timelines. Highly recommended. Peter built a cedar privacy screen in our back yard. We were extremely pleased with the quality of the materials and Peter's workmanship. 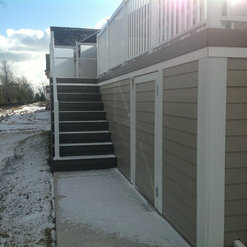 The jobsite was kept clean and orderly throughout the term of the project. We have received many compliments on our privacy screen and highly recommend Peter based on our experience with his company. We couldn't have been happier with the quality and professionalism of the company, Peter Secord and his team and would highly recommend them. This was a complex project which included removing and starting over from someone else who was not meeting our expectations. They took the time to understand and meet all our requirements. We never felt pressured to get the job done and all of Peter's staff were as committed to the quality of the work as we were, and we have pretty exacting standards. 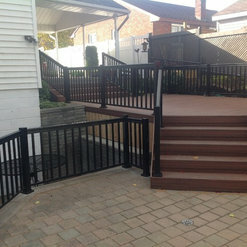 There was a slight problem with the railings and both the manufacturer and Hickory Dickory were incredibly responsive in correcting the problem. The project was completed on time and on the budget we had agreed to. LOVE OUR DECK!!! 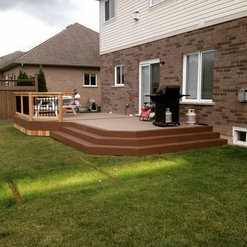 With regards to my new deck, I was very satisfied with the knowledge and professionalism of Mr. Peter Secord and his entire construction crew. Mr. Secord actually came up with a new design which completely changed the area around our pool (for the better). 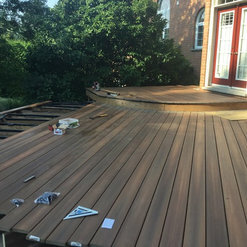 It looks fantastic and I would not hesitate to recommend Hickory Dickory Decks. Peter worked with us on the design of the project, taking us to see work he had done that could be implemented to fit our needs. He had the imagination to create an area that was functional and comfortable. His crew was prompt and always cleaned the area at the end of each day. Peter always answered my calls and arrived when promised, he also made suggestions to preserve the value of our investment for the future. Peter and his team at Hickory Dickory Decks build some amazing decks. Peter is easy to work with and the finished product just enhances our own work. 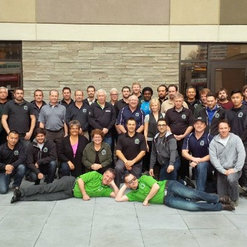 I would have no hesitation in recommending Peter and his team to build your dream deck. Peter from Hickory Dickory Decks was wonderful to work with! He ensured our comfort throughout the project, and we were ecstatic with the finished product. Our century home had a master bedroom balcony that had been sealed before we bought the house. This project was tricky because when dealing with an older home, things aren't always as they appear, or as they need to be for today's standards. Peter was very well equipped to handle the situations that came up, from a structural concern and an aesthetic concern, this being the front of our home. Peter was respectful of our home, our time and our budget. We have started a second project with him at the back of the house, and have every confidence it will turn out fantastic! THANK YOU PETER!